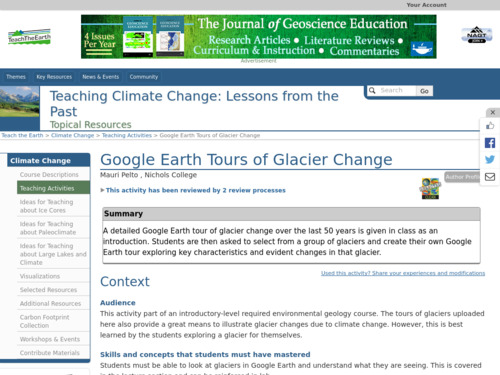 In this activity, students use Google Earth and team up with fictional students in Chersky, Russia to investigate possible causes of thawing permafrost in Siberia and other Arctic regions. 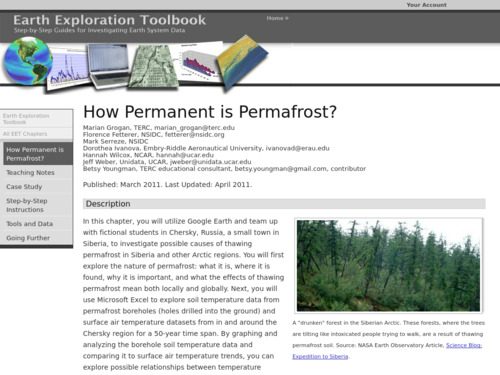 Students explore the nature of permafrost and what the effects of thawing permafrost mean both locally and globally. 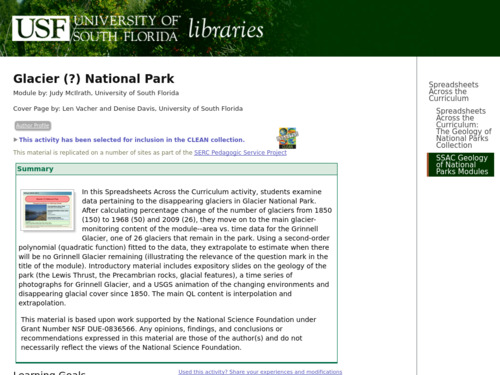 Next, students use a spreadsheet to explore soil temperature data from permafrost boreholes and surface air temperature datasets from in and around the Chersky region for a 50-year time span. 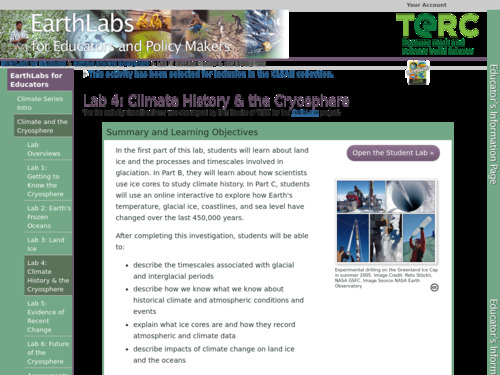 For this lesson, the guiding Concept Question is: What is climate change and how does climate relate to greenhouse gas concentrations over time? 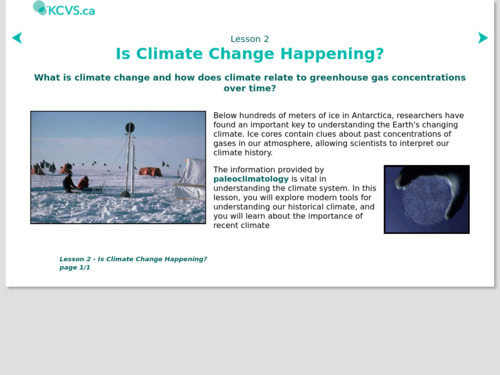 This activity is the second lesson in a nine-lesson module 'Visualizing and Understanding the Science of Climate Change' produced by the International Year of Chemistry project (2011). 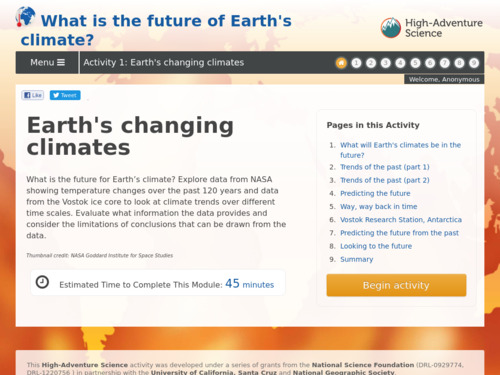 In this activity, students are guided through graphs of surface air temperature anomaly data and Vostok ice core data to illustrate how scientists use these data to develop the basis for modeling how climate is likely to change in the future.